Enjoy a stay at Hampton Inn - Suites Reno West hotel where you*ll be close to downtown Reno nightlife and skiing. Our modern hotel in Reno Nevada has easy access onto I-80. Attend an event at the University of Nevada Reno 5 miles away. Our suburban location just outside of downtown is convenient to shopping dining and casinos. Enjoy water activities on the Truckee River or browse the Riverwalk District. Before you venture out each day visit the lobby for our free hot breakfast which includes delicious freshly baked waffles hot and cold items juices and coffee. Refresh after a long day in the indoor heated swimming pool and soothe tired muscles in the spa. 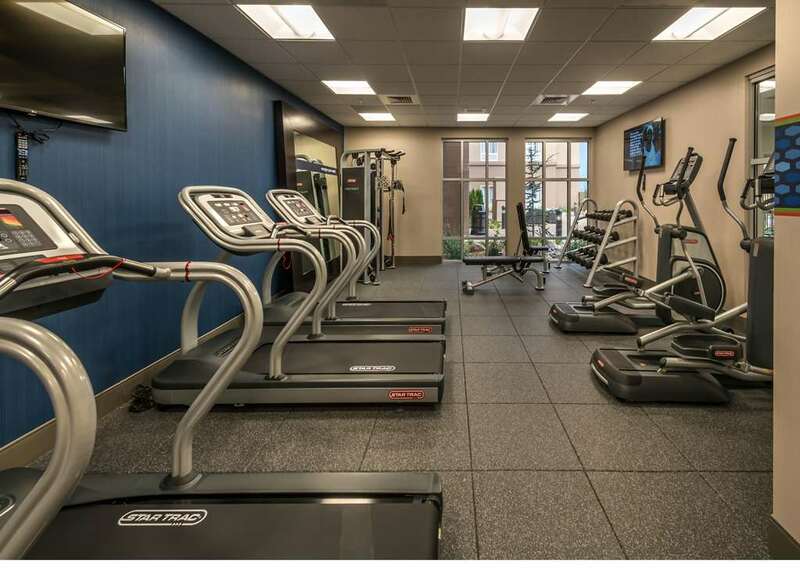 Maintain your exercise routine in the modern fitness center. For your business needs we offer free WiFi throughout the hotel. Hold a meeting in our 675 sq. ft. space that accommodates up to 60 people. Pick up a snack in the convenience shop. Each of our rooms and suites offers a clean and fresh Hampton bed spacious work space handy lap desk 42-inch flat-screen TV and coffeemaker. Store cold beverages and heat up a snack with the mini-fridge and microwave. If you*re bringing your family or need to spread out upgrade to a suite to have more space with a sofa bed and wet bar. Most rooms have a beautiful view.